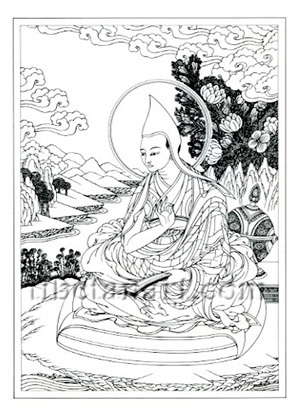 Shantideva (Tib. Shiwa-lha) was the renowned Indian Buddhist master who composed the text of: 'A Guide to the Bodhisattva's Way of Life' (Skt. Bodhisattvacharyavatara). This text has become one of the most popular subjects of study in the development and practice of Mahayana Buddhism.